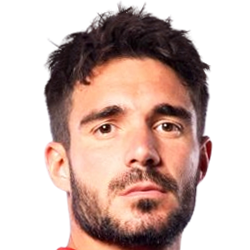 This page is used to submit and discuss edits for Ezequiel Cerutti in the sortitoutsi Live Data Update for Football Manager. Enabled DB 19.3 Ezequiel Cerutti is now on loan to Club Atlético Independiente until 30th June 2019 paying 100% of wages. The loan deal includes an option to buy the player for £3m. Disabled DB 19.3 Ezequiel Cerutti is now on loan to Club Atlético Independiente until 30th May 2019 paying 100% of wages. The loan deal includes an option to buy the player for £430k.